A Quality Desk Globe to Keep.. When budget is vital, the Franklin offers all the attractive benefits of our 30cm globes at a modest price. 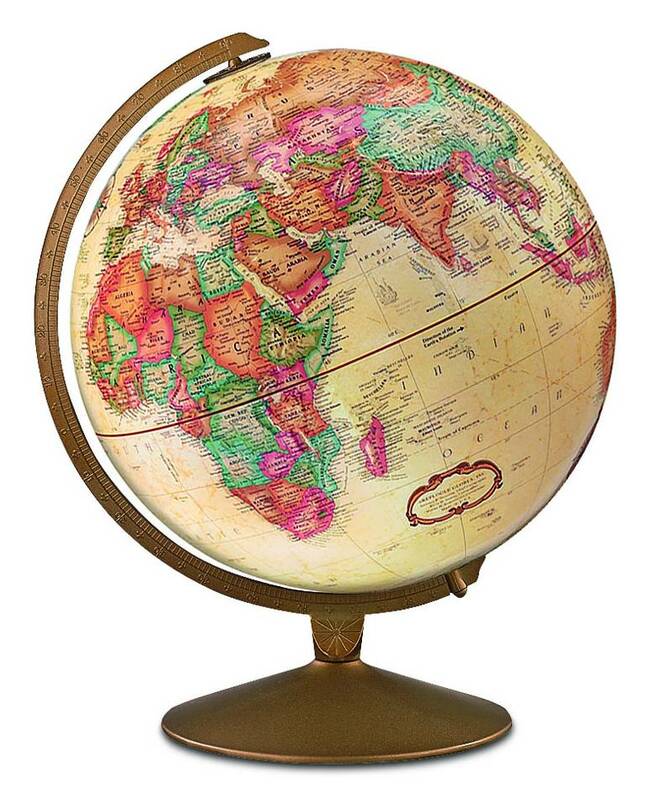 The raised-relief sphere is clearly printed with over 4,000 place names and is complemented by an enamelled steel stand in gold tone or antique bronze colouring. This globe also shows the routes of some explorers.